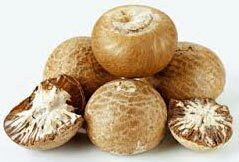 Backed by our dexterous professionals, we have emerged as prominent Supplier and Exporter of Betel Nuts from Thailand. The Betel Nuts we make available are 100% pure and free from preservatives. To cater bulk and urgent requirements of buyers, we maintain a large stock of Betel Nuts at our state-of-the-art warehouses under optimum conditions. Buyers can obtain the Betel Nuts at market-leading rates.